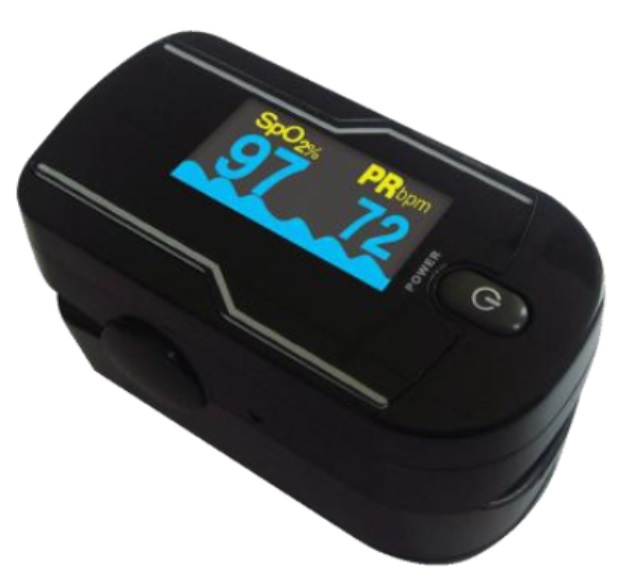 Pulse Oximeter is a very important and common device to check oxygen saturation (SpO2) and pulse rate. As a small, compact, simple, reliable and durabel physiological monitoring device, Fingertip pulse oximeter is widely applied in clinic, hospital, social medical organization, first aid and homecare etc. - Two AAA 1.5V, 600mAh alkaling batteries could be continuously operated as long as 30 hours. *For patients with smaller fingers, it is important to position the fingernail right under the LED lights and to keep the finger still during the measurement.